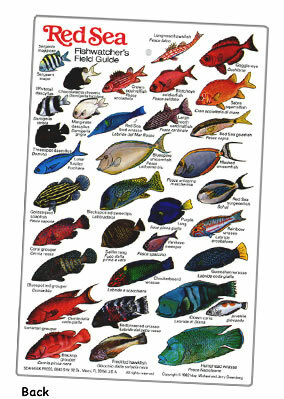 65 colorful species of the most beautiful and commonly seen fishes of the Red Sea arranged by family. 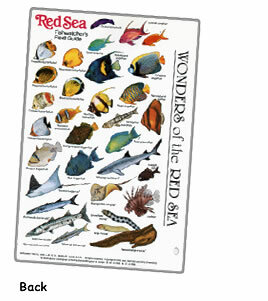 Covers the Red Sea, Gulf of Aqaba and the Persian Gulf. English/Italian names. 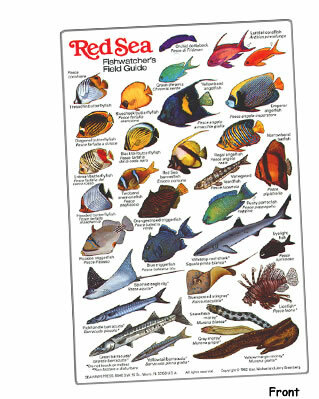 32 colorful species of the most beautiful and commonly seen fishes and 26 stunning invertebrates of the Red Sea. 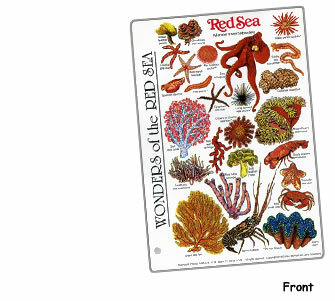 Covers the Red Sea, Gulf of Aqaba and the Persian Gulf. English names. Mini cards will fit into sport shirt or BC pockets.